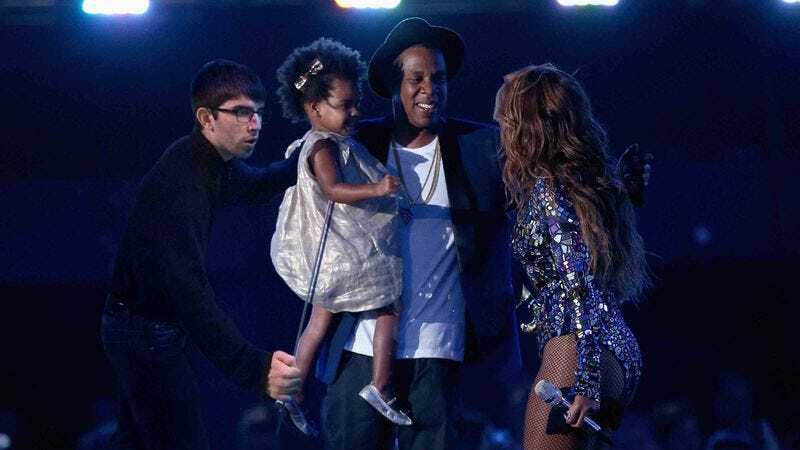 America’s love affair with celebrity super-couple Jay Z and Beyoncé has only intensified since 2012, when the pair welcomed tiny little Blue Ivy into their family. At 2 years old, Blue has already spent more time in the limelight than most people will in their entire lives, but the same can’t be said about the man behind her every move. Meet Laird Petit. An accomplished puppeteer with credits that include Sesame Street and the two most recent Muppets movies, Petit has never shied away from big projects. But when he was approached in 2010 about potentially bringing to life a daughter for two of the biggest superstars on the planet, he knew he was in for his greatest challenge yet. Collaborating with artists at Jim Henson’s Creature Shop, Petit worked around the clock for months to design the Blue Ivy character, using sketches that Beyoncé herself had drawn as a primary blueprint. Early prototypes were crude, with a cumbersome head piece and ping-pong ball halves for eyes, but gradually the puppet evolved into something startlingly lifelike. The final product—constructed with foam positioned around a central rod and controlled via a system of wires and remote control devices—looked both convincing and lovable, and the puppet’s famous parents were thrilled with the way she turned out. Blue Ivy was ready for her debut. Side by side: Petit and his iconic puppet creation Blue Ivy. On January 7, 2012, the day that Blue Ivy was “born,” Petit introduced his masterpiece to the world, and he has since performed the character at dozens of public appearances. Other than the 2014 MTV Video Music Awards, when he worked with a team of three puppeteers to create more animated facial expressions and movements for little Blue, Petit has remained the sole force behind the puppet that has captured the hearts of millions worldwide. So, will lil’ Miss Carter follow her mom’s footsteps into pop superstardom?